The new global TLDs have been out for a few months now and we are starting to get a sense of which ones are proving popular. Last year ICANN, who are the international body responsible for domain names, started approving a whole new range of Top Level Domains (TLDs). This meant that in addition to having a .com or .co.uk domain name it is now possible to purchase a .ninja, .photography or .accountant domain name. In fact there are now several hundred new TLDs available which ICANN have been slowly releasing onto the market. .club, .link and .london appear in the Top 10 for every month so far this year while .work and .website have both appeared in the Top 10 for 3 out of 4 months. 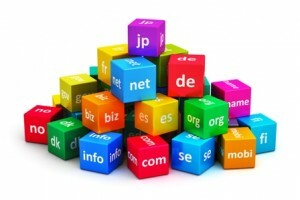 If you are considering buying new domain names it is well worth considering some of the more popular new TLDs. Even if, like the big brands, you just get them to protect your brand image.